Let's just be honest with ourselves right here and now! How will this year be any different from all the previous years? We all know that this is the time of year we start to think, plan and begin striving toward being more fit, healthy and simply happier in our lives. So then ask yourself the question, how will this year be any different? Whatever you decide that looks like, if you aren't having any fun, then you are missing the whole point. It could very well be the main reason why you have a tough time sticking to your goals. The same goes if you are stuck in a routine that leaves you feeling drained and unsatisfied. My guess is, you've probably made endless promises to yourself for years now, we all have, especially around this time of year. But this time will be different. You're going to hit the pavement hard running a million miles per minute and now you have more willpower than you've ever had in the past. You won't fail yourself this time because this year is your year! For some reason you're feeling much more motivated, right? WRONG!!!! Your hopes and dreams are rarely brought to fruition! Why would this year be any different? Quick note: If you feel like you're on the perfect fitness program and you're at a top notch place in your life, then stop reading this article now. This is not for you. Have you thought about trying something new? Or are you going back to the same old routine you failed previously with? What makes you think if you try the same recipe it will taste better this time? I'm surely not here to rain on your parade, but I'm here to give you the truth. You will fail miserably if you continue to do the same training program that you gave up on last time. My point for being a realist is not to be a Debbie downer. I'm merely trying be the friend that tells you what you need to hear. Someone needs to give you a wake up call so you realize it's time to find something that you look forward to. Something that you may consider FUN! Yes FUN!!! You may be thinking, delusional thoughts such as "how can I actually have fun or enjoyment while achieving a healthier, stronger, and leaner body? There is no such thing! I've never heard of being able to enjoy getting in shape. You have to work hard and it's painful and boring. Besides I don't like to starve myself." WRONG ALL WRONG! What if there was a way for you to do something every day that literally took less than 12 minutes of your time? What if that 12 minutes actually became pleasurable and fun to you, to the point that you were disappointed that it was over? If you fall in the category of not having enough time and/or just wanting to vomit at the thought of working out, this may be what you need. It's time to take the pressure off of yourself thinking you need these long drawn out workout sessions. If your first goal is beginning with a 10-12 minute workout program this would be much more attainable. The first goal I'd recommend starting with is find something that is sustainable. A realistic way of moving that you can actually stick to. Find a way of training that enhances your life. It doesn't have to be the end all be all. If it is sucking the life out of you and leaving you with no energy throughout the day, you have chosen the wrong workout. The right workout is the one that leaves you feeling like you want more. The one that makes you feel more energized. The one that enhances your brain activity. After all, if the body stops moving the brain activity begins to decrease. We all have enablers in our lives. Some of them are our dear friends that we meet with for dinner or drinks. Or our own family members that encourage us to skip our planned workout session and eat some unhealthy food together. It's absolutely okay to do this from time to time. But you need to be very upfront with your enablers and let them know your goals and make sure they are on board with you. If they can not support you then it's time to make room for people in your life that do. It's proven that people will be much more accountable when they have small victories to celebrate along the way. Create a reward program for yourself. For example... "I will show up for my 12 minute session 5 times this week and at the end of that week I will reward myself with a pedicure." If you choose to do nothing then you are actually choosing to be weak and unhealthy. If you choose 12 minutes of a well thought out, approachable, efficient, and fun workout session, then you may very well surprise yourself. If you don't know how or where to start, I can help you with that! The internet can be quite overwhelming and filled with more ways to train than you can imagine. Most of it is garbage to be perfectly honest with you. The best way to start is with a very intelligent and motivating personal trainer, with a good track record, that has helped many people achieve their goals. You may need to do a little research. If you don't have the time or money to commit to a trainer or group classes, then the next best thing is working out from home. I've been blessed to be able to create solid information, that has actually helped thousands of people learn how to get in shape and stay in shape all from the comfort of their living room. The coolest part about it, is they didn't hate it! In fact many loved it so much they flew out to see me and shared with me what they learned. I was very impressed how well people were able to learn proper technique and create healthy habits through my videos! I put some on the bottom of this post. In conclusion, whatever path you choose, enjoy the journey! Life is filled with so many beautiful moments. You might as well be as healthy and strong as you possibly can. Not just for yourself but for your loved ones. I'm excited to announce that I'm locking down dates and locations for some upcoming workshops in 2015. 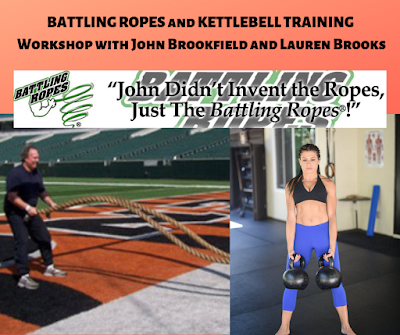 If you would like to spend several hours or a day learning simple and fun techniques which will help you move better, lose fat, become much stronger and leaner, make sure to sign up for one of the workshops. 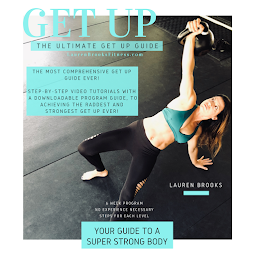 Move better and Feel Better learning how to use your body weight and kettlebells to achieve the strong and lean body you've always strived for. Quick and efficient workouts will get you there without the long drawn out boring cardio sessions that run your muscle off and cause overuse injuries. Be ready to change your life! Where: North San Diego County (Encinitas).
" 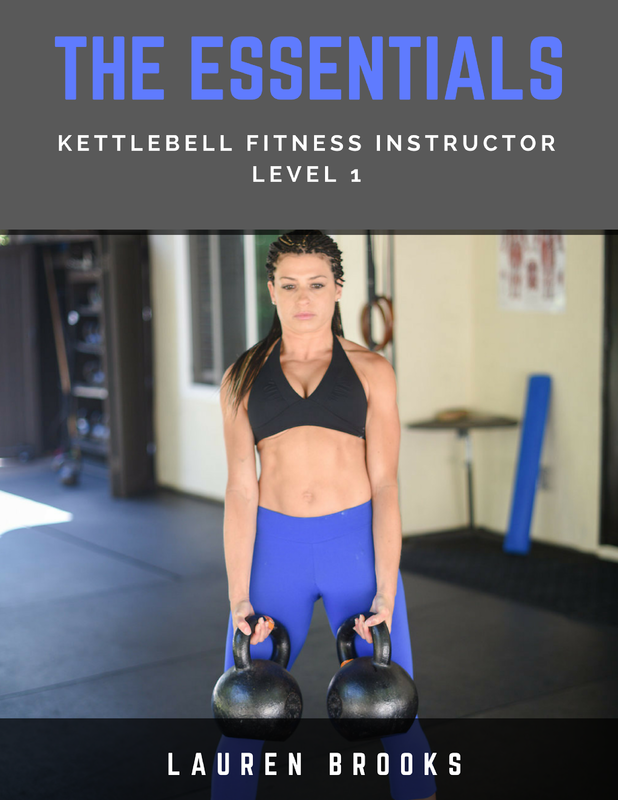 Being a beginner to kettlebells, I thought this workshop was awesome!! Lauren did an excellent job of explaining the different kettlebell moves and also kept me safe from hurting myself. (Which could easily happen being so new to kettlebells) I would love to, and look forward to, taking more classes/workshops in the future. Great job, Lauren!!" 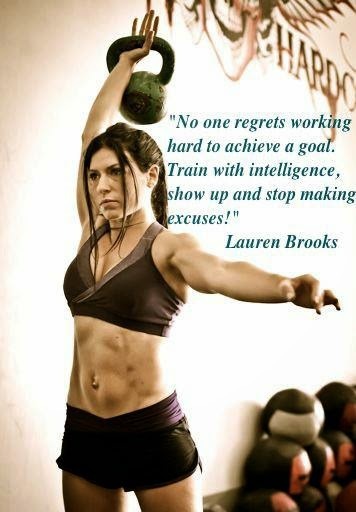 I've dreamed of taking a class with Lauren Brooks since I first discovered her DVD workouts about 2 years ago. I live in the UK whilst Lauren lives in the US so I thought my dream would remain just that. 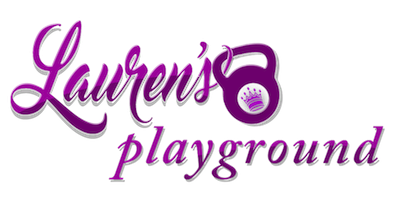 Well sometimes dreams do come true as I had the opportunity to take a workshop with Lauren on her recent trip to London and what an experience it was! I was very nervous before attending thinking it would be filled with super fit, amazingly honed athletes and I would be left standing in their dust. Not so. 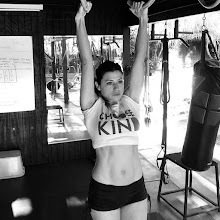 There was a great cross section of kettlebellers from out of shape beginners to some RKC's and Lauren taught us all with huge encouragement, intuition and passion. Lauren's love for what she does is evident in every move and sentence. Lauren is warm, encouraging and totally non-intimidating. Her form tips are excellent. For instance in order to stop some manic swings that were being performed she told us all to think "float" at the top of the swing and it worked like a charm - no more bionic swinging! She wants everybody to progress, safely, to be their best selves and to have fun with their kettlbell practice and not view it as a chore. If you ever get the chance to work with Lauren, please, please take it. I gained so much from my workshop experience - vastly improved form from when I walked in (even the RKC's participating in the workshop had some tweaks made to their form) and increased confidence that I was actually on the right path and pretty darn good at some moves (swings). If ever Lauren comes to the UK again for a workshop she can count on at least one class member for sure - me! Thank you Lauren for everything. If you are very confused please email me here so we can make sure you are starting on the right foot. You deserve the best path for yourself! You only get one life! Small group classes and private sessions in the North County San Diego area (Encinitas) visit the class website here at www.mykettlebellgroup.blogspot.com. FOR THOSE NOT in the area I offer online training and nutrition plans for people all over the world. Email me at kbellqueen@me.com to set up an appointment. Fight cravings and laziness during the cold season and holidays. Focus on avoiding these by using these simple, no gym required, exercises! It's getting colder and the holidays are right around the corner. I love the holidays spending time with family and friends. Having big thanksgiving dinners with more delicious food choices than your nearest buffet. The average American Turkey Day dinner is about 3,000 calories. Not to mention the leftovers you are persuaded by your in laws to take home and eat for the next month. Don't forget the fun holiday parties with unlimited amounts of food, wine, and champaign. The colder weather also contributes to sweet cravings and laziness. How can you say no to all the temptations? How can you possibly avoid weight gain or stay on track with your nutrition program? I will tell you how in 7 steps. By the end of this article you will have a plan on attacking the holiday pounds and temptations, while still being able to enjoy yourself. Focus your workouts on fat blasting. What I mean by fat blasting is stick to high intensity workouts for a short duration. If you are traveling you don't have to go searching for a gym and spend too much time away from your family. If you have access to a gym then wonderful. These exercises will fire up your metabolism, organize your thoughts, boost your mental health, and relieve stress. You will then be more focused on your goals and be in the mind frame to resist the holiday traps. Below is a sample workout program you can do in under 20 minutes. You can do this anywhere anytime. For free Kettlebell or bodyweight workouts you can check out these videos here. 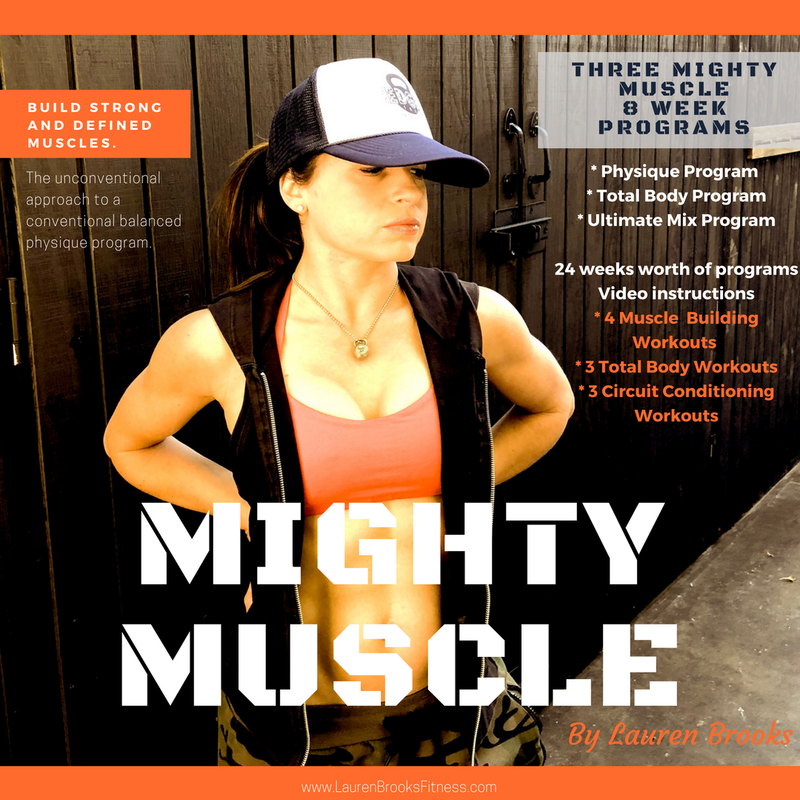 If you have access to kettlebells or weights we offer the most effective, fun and simple digital and streaming workout videos you can download in moments. Directions: Go through each exercise for 30 seconds. Rest for 30 seconds. Repeat for 4-5 rounds. ENJOY! If you don't have access to any weights or a kettlebell go through the motion with just your body weight and with the intent of being explosive through each movement. used for fat burning, athletic performance enhancement, strengthens the glutes, back, hips, abs, lats, quads, ankles, toes, and improves stamina like no other! If you don't have access to a jump rope, jumping jacks will work. Find a pace to where you can jump rope for 1 minute without stopping. If you are unable to jump a stationary bike or a cardio machine at high intensity will work as well. Push ups will strengthen your chest, triceps, and shoulders. Start with your toes on the floor and place your hands slightly wider than shoulder width apart. Keep your head aligned with your body by looking down at the floor. Inhale as you lower yourself to the floor slowly, bending your elbows slightly back behind you. Exhale pushing your body away from the floor, while straightening your arms out. 10-20 times. If this is too difficult start on your knees. Bring your own healthy dish. You can find many healthy dish recipes here. Some relatives can be your worst enemy when it comes to food, if they are persuasive by guilting you in to trying some of the heavier fattening dishes. Take a small scoop to be polite but remember who is in charge! Have a snack or a delicious protein shake before you leave for the party or dinner. This way you will feel sustained and not end up binging when you arrive. Good snacks can be a handful of nuts, a small protein shake, or an apple with a hard boiled egg. Avoid alcohol as much as possible. Not only does alcohol have tons of calories, it can also inhibit your judgment and you will find yourself eating every thing in site. If you feel the need to have alcohol try limiting yourself to one during your meal. Stay away from sodas and fruit juices as well. Many people at parties feel they need to be holding something to be social. Drinking plenty of water with a squeeze of lemon will be your best alternative. Green tea is great as well and can speed up your metabolism. Make sure you allow yourself some flexibility with your favorite food from time to time. If you constantly deprive yourself you may decide you are unable to keep your nutrition habits stable and will find yourself binging or miserable. You may become cranky and no one will want to be around you. Keep your spirits up and let yourself have a small serving of that pecan or pumpkin pie that you had your eye on all night. That will keep you on track and your mood up. Don't feel bad about it. You are allowed to live a little! When choosing what to eat, fill your plate up mostly with the vegetable dishes. Pick the lean meats without the skin. Stay away from the baked breads. If you feel you have to try a dish that is relatively high in fat or sugar, keep the portion very small. Chew your food slowly and enjoy the taste. Go for a 15-20 minute brisk walk after dinner. Instead of letting the turkey take over and make you tired, get some fresh air. You might be able to convince your significant other or relatives to walk with you for some bonding time. Take advantage of our Holiday sale this season. 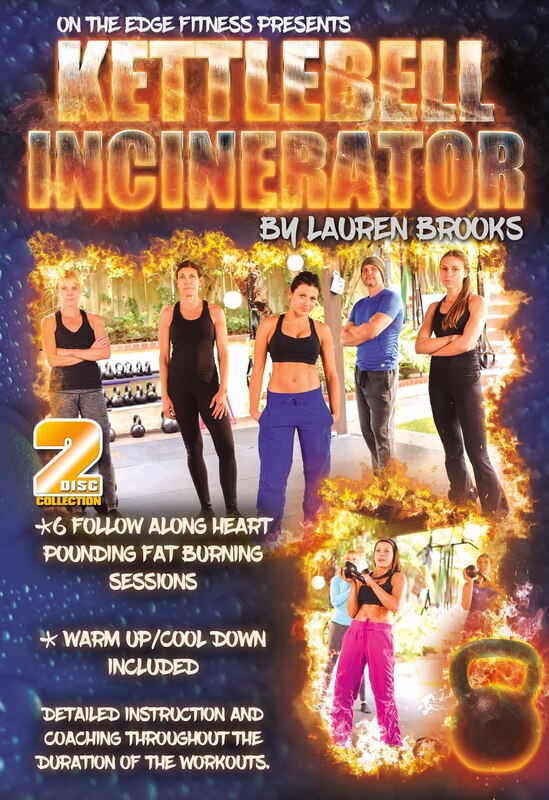 Take 40% off on all our workout DVDs and Kettlebell Streaming/downloads. 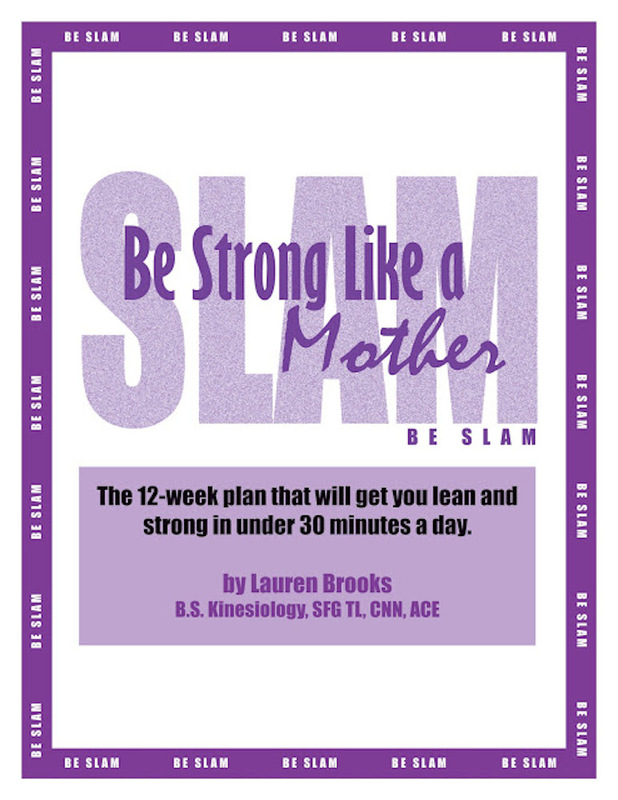 This includes our popular Be SLAM program.